As news of our kite school has spread, Kitevibe has been featured more and more by newspapers and the press. Here are a selection of some of the articles we have been featured in. "... the only school to teach the rudimentaries of line kiting in london." "... Kitevibe offers courses to get you used to handling a kite before you think about jumping on a board." "... Power kites aren't the kites you flew as a kid. We fly across the field and Mark performs the sort of sliding turns that joyriders in stolen Ford Fiestas can only dream of ." "... Power kiting is a broad church. There are no limits on age or fitness. You can sit on a buggy or go hell for leather on a land board." "... 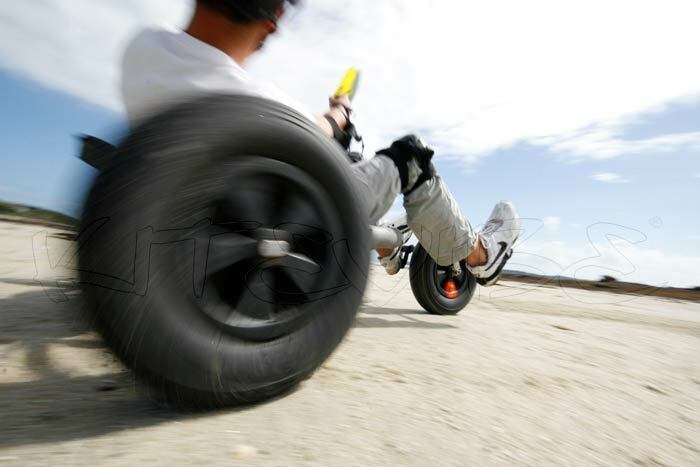 This fast growing sport involves being pulled along by a kite while sitting in a buggy or standing on a landboard. Kitevibe in London offers lessons with qualified instructors in the picturesque surroundings of Richmond Park." "... The guys at Kitevibe will teach you a whole host of ways to have fun with a kite." "... Kites have grown up. You don't need to leave the ground and beginners have safety equipment to ensure that they don't fly away!" "... Kites are bigger, badder, and about to help you lose that paunch..."
"... Richmond Park's open grassland areas are ideal for learning and Kitevibe offers exciting lessons by qualified instructors..."
If you are a journalist and would like information about kitevibe and kite flying, please click here to contact us. We have a dedicated press area with press kits, press releases, testimonials, print ready photos and more.